Hi ya all, I was a member on here a few years ago as I was hoping to start learning the guitar but due to my own laziness I never got the learning started. I have recently become determined to not only start my learning but to actually keep on going on a long term basis, much to do with my wifes encouragement. 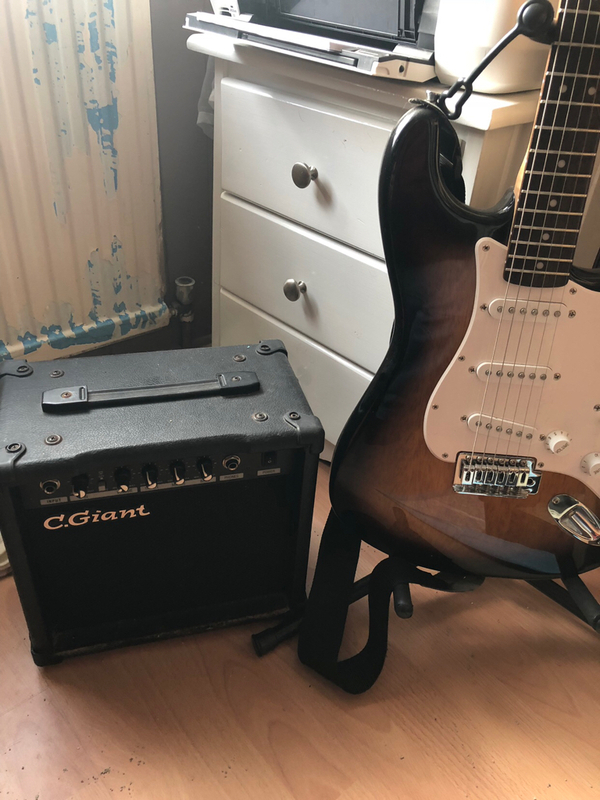 I've picked up a Squire Strat with a view to getting the basics down on it and then upgrading to a better guitar when I've got more experience in the guitar. I've purchased Justin's Beginner's Coursebook and have set up a little area in the spare bedroom. 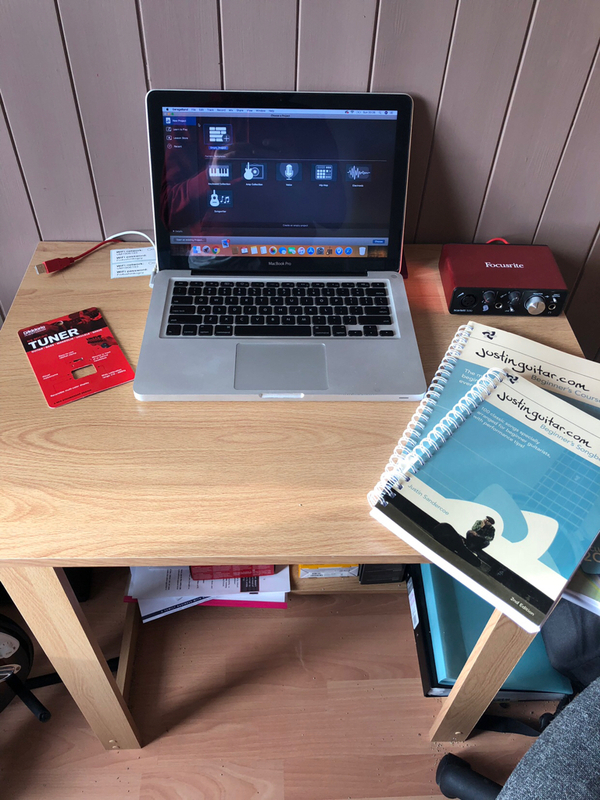 I will eventually concentrate on the blues but will study the Beginners and Intermediate courses first before moving on to studying the blues lessons here on the site using Justin’s new Grade System. I will initially be looking at making monthly posts here showcasing my learning progress. Have fun and stay with it, so worthwhile. Welcome back Blues Journeyman, looking forward to hearing of your progress. No quitting this time hey! Since you've got wife support, I've found that it helps keeping the guitar in the room where you spend most of your time. For us, it is the livingroom. I find that I'll pick my guitar up on the weekends three or four times a day, and during the week when I'm working more hours, as much as two times a night. About 20 minutes each time. I’m hoping to start recording my practice sessions for some constructive criticism as I have GarageBand on my MacBook Pro so if anyone has any tips or links to good tutorials with regards to shooting videos it would be greatly appreciated. I’m also looking for a new bedroom practice amp so any info on that would be great too thank you. The tidy-up and reorganise eh! Yeah something like that mate lol. Nice to have my own little area for learning the guitar.